Finn Makwan Amirkhani (14-3) will face England’s Chris Fishgold (18-2-1) at UFC in Sweden on June 1 in Stockholm. 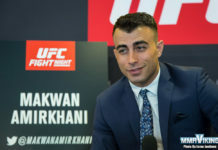 This is the same city that Amirkhani kicked off his UFC career with an eight-second knockout of Andy Ogle, one of the fastest knockouts in UFC history in Stockholm, Sweden. The bout was announced in a live press conference by Viaplay. 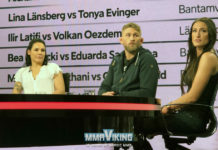 “I would love to fight at the UFC Sweden” said the featherweight to MMA Viking last week, and not it is a reality. “I am ready” says Makwan that has not been in action since winning at UFC Fight Night Liverpool back in May. Fishgold is no stranger to Nordic MMA fans. 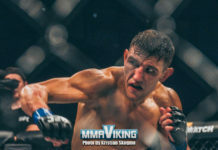 He is coming off a win over Sweden’s Daniel Teymur last month, securing a rear-naked choke in the second round. 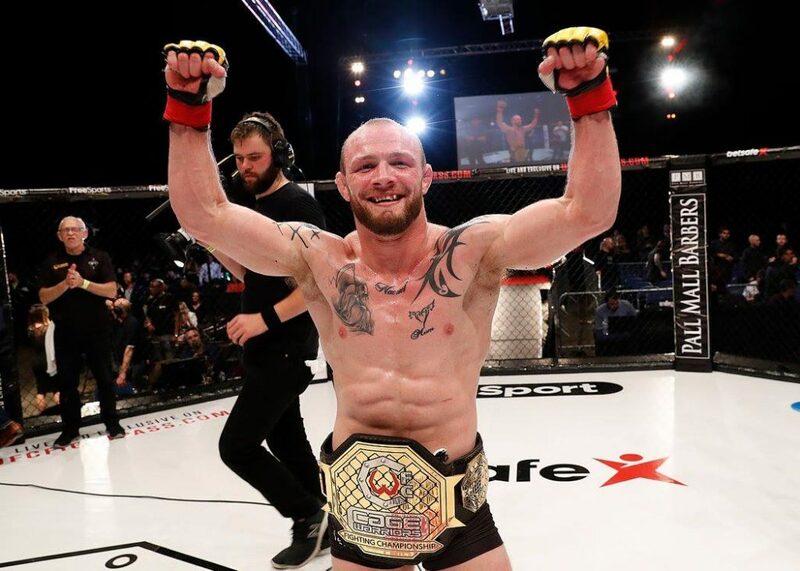 He also has a first round submission victory over Norwegian Alexander Jacobsen at Cage Warriors 88, where he was the champion of the promotion. He has a 1 win and 1 loss record since entering the Octagon. “No messing around anymore” says Makwan that has been focused on getting in top physical shape at Sports Science Lab in Turku. It was in January of 2015 that the Finn shocked the 30,000 fans with his UFC debut, an eight-second knockout of Andy Ogle. The wrestler has won 4 of his 5 UFC bouts, only losing a split decision to Arnold Allen in March of of 2017. He has spent much of his time since his last bout improving his standup and conditioning, and has even participated in amateur boxing bouts. He plans to do his camp back at SBG in Ireland. 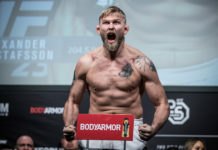 Swede Alexander Gustafsson will face Anthony Smith in the headliner of UFC in Sweden at Ericsson Globe in Stockholm on June 1st. This is the only matchup that has been announced. Note : Translation of Amirkhani quotes with help from Suvi Salmimies.